Clearwater Beach has it's world famous beach that provides a relaxed vibe for the community and it now has a coffee shop to match that mood. 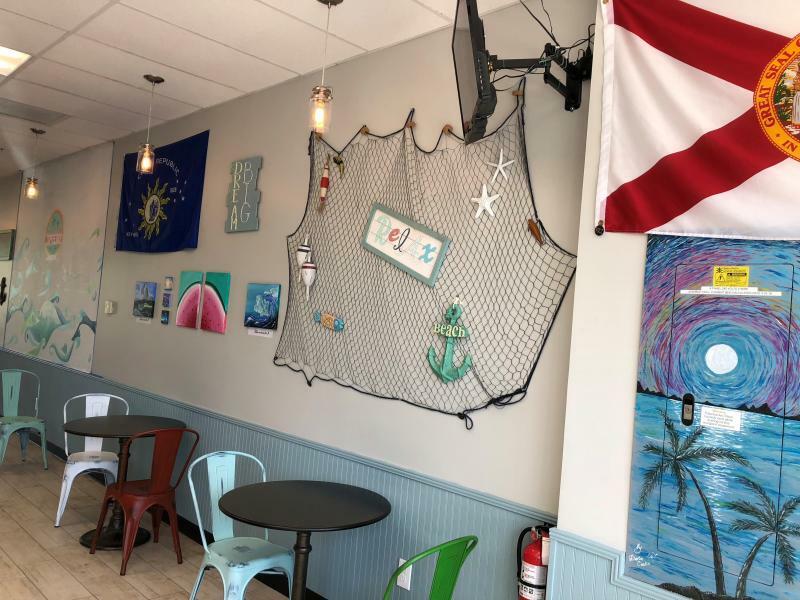 Knee Deep Coffee Shop, which opened in downtown Clearwater in late May 2018, offers the perfect spot to get your caffeine on your way to the beaches of Pinellas County. 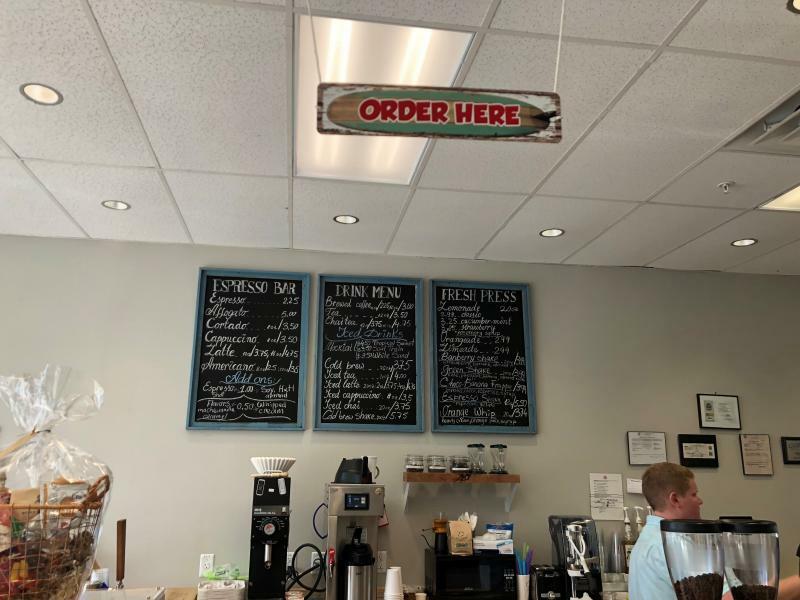 While Knee Deep Coffee Shop is new to Clearwater, they serve something familiar to Tampa Bay area residents in Buddy Brew Coffee. Knee Deep also offers a variety of pastries, cookies, cakes and more to go with the full coffee menu. Most importantly to me, there are chocolate chip cookies. Spend the day at the beach? Swing by for some iced coffee or cold brew after your day in the sun or stop by for a cup of hot coffee when they open on your way to a meeting in downtown Clearwater. Knee Deep Coffee Shop, which held their grand opening celebration on June 8th, now offers a loyalty rewards program and they occasionally have musicians playing in the coffee shop to add to the relaxed atmosphere. They also follow the new trend of latte art, making your coffee into art. One of the things that will jump out to you immediately about Knee Deep Coffee Shop is the artwork. There are several murals throughout the shop to go with decorations like a pirate flag and a State of Florida flag, which I love as a lifelong Tampa Bay area resident. 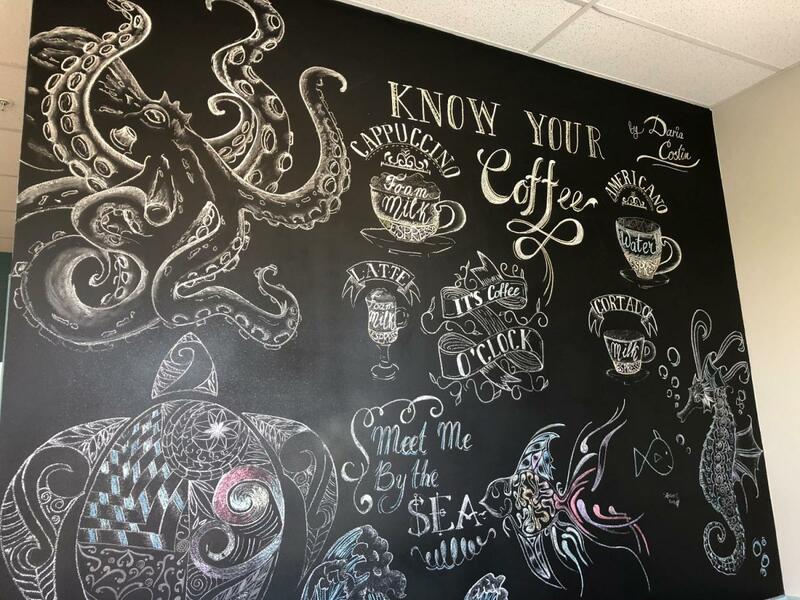 When I visited recently, they were painting in a gorgeous ocean scene mural that had already been drawn in and baristas wearing tropical shirts. Again, the exact type of place that I enjoy! You can visit Knee Deep Coffee Shop at 541 South Fort Harrison Ave. in Downtown Clearwater today. It's a great way to fill your caffeine need all in a relaxed setting! Want to know all the latest about restaurant news in Clearwater or St Pete and all of Pinellas County? Stay plugged in 727area.com for all the latest! Sign up for an account today, it’s free!